The University of Arkansas hosted several events on Wednesday, Oct. 18, as a part of the Global Ethics Day, sponsored by the Carnegie Council. This year on Global Ethics Day, the University of Oklahoma's Integrity Council asked students, "How does contract cheating devalue your education?" DeVry Faci Hosts a Global Ethics Day Event in Brazil! The Ethics in Governance: Stewardship and Investor Education Forum at Saint Anselm College asked students, "what is the most pressing ethical issue today?" Global Ethics Day 2017 in Oman! The philosophy department at Chancellor College of the University of Malawi joined the rest of the world in celebrating Global Ethics Day 2017. Visit Association of Chartered Certified Accountants (ACCA) and Institute of Business Ethics for more information. 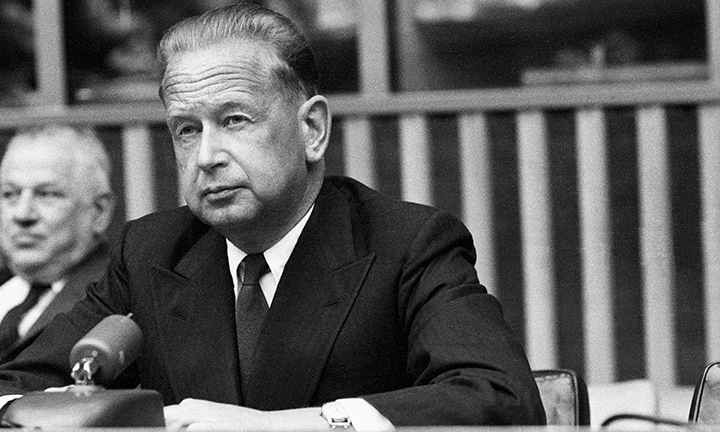 This post was first published by the Dag Hammarskjöld Foundation on October 18, and is posted here with kind permission. This post was first published by The Times of Malta on October 18, and is posted here with kind permission. Happy Global Ethics Day! Though I wish this day was universally unwarranted, it remains an important endeavor to celebrate the people and organizations striving to abide by the ethical standards that represent the most positive elements of human nature. Global Ethics Day 2017- U.S. Merchant Marine Academy and CCEIA Senior Fellow Reed Bonadonna present "How to Think Like an Officer"